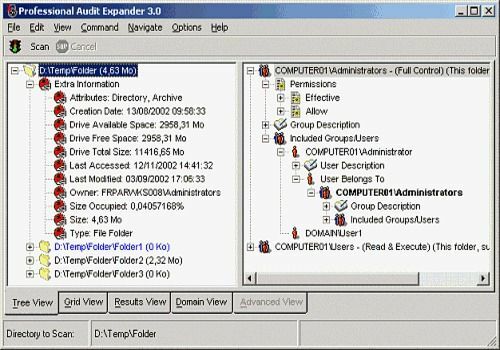 Professional Audit Expander v3.0 (PAE) is a software that allows you to flatten all NTFS security on Microsoft Windows NT 4.0 Server and Microsoft Windows 2000 Server servers. PAE scans all security but highlights security differences between directories and subdirectories. It also allows you to navigate recursively within user groups and export all the information collected during a scan in order to safeguard all security. PAE also allows you to navigate entirely within Windows NT domains.